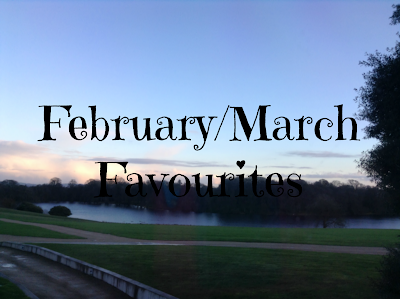 I have decided to do favourites once every two months than every month as I find I have more to talk about and also I free up another blog post where I could be writing something else. I also want to change the name, I don't know what yet, as I want to add in things I did or places I've gone. If you have any ideas, please comment below and I'd be eternally grateful. So here's my February/March Favourites. I went to see this movie on Valentines Day, I know how romantic, with some of my friends. 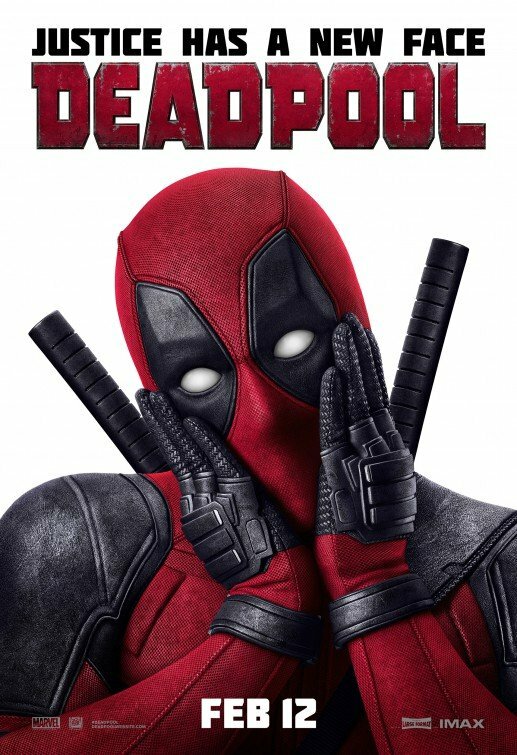 I love action movies and when I heard there was a movie with a sarcastic superhero, I was so excited and also because Ryan Reynolds was the main character. I loved this movie as there was plenty of action, comedy and sarcasm. I know it's not really a movie that everyone could wait as there were a lot of fighting scenes but I enjoyed it. 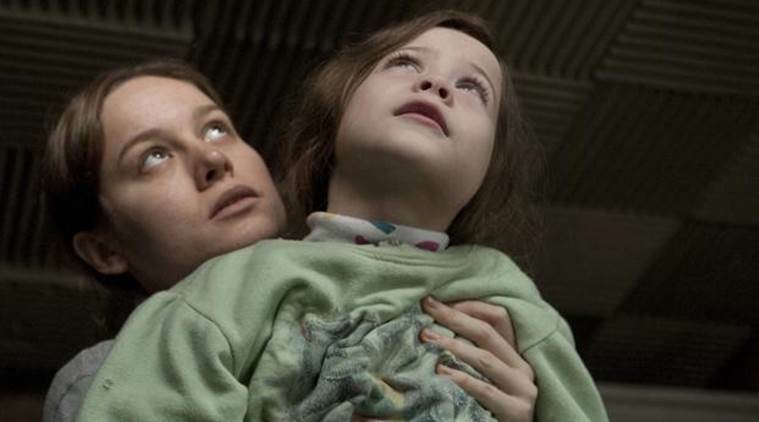 I also went to see Room in cinema with my Mam and my friend Róisín. I hadn't read the book before I saw the movie but I really enjoyed the movie. It was very interesting and kinda light-hearted even though it is a dark subject. It's about a boy called Jack who lives in Room with Ma, he doesn't realise there is an outside world to Room until Ma gets sick of living there and they escape. I read the book and the movie did it justice. They are a few changes but nothing annoying or plot destroying. It's all from Jack's point of view which makes it more interesting as he thinks it's normal to be in Room. I had been long waiting for the second book in the Blood for Blood series. I got my hands on it at the end of January but I wanted to reread the first book, Vendetta. I finished it in about 2 weeks and it was amazing. There are so many more plot twists and drama than the first book. I did a review of Vendetta already and I hope to do Inferno in the next month or two. I won't go on about it too much as I have already explained to storyline in the review (click HERE). If you like YA fiction then you'll love this book. 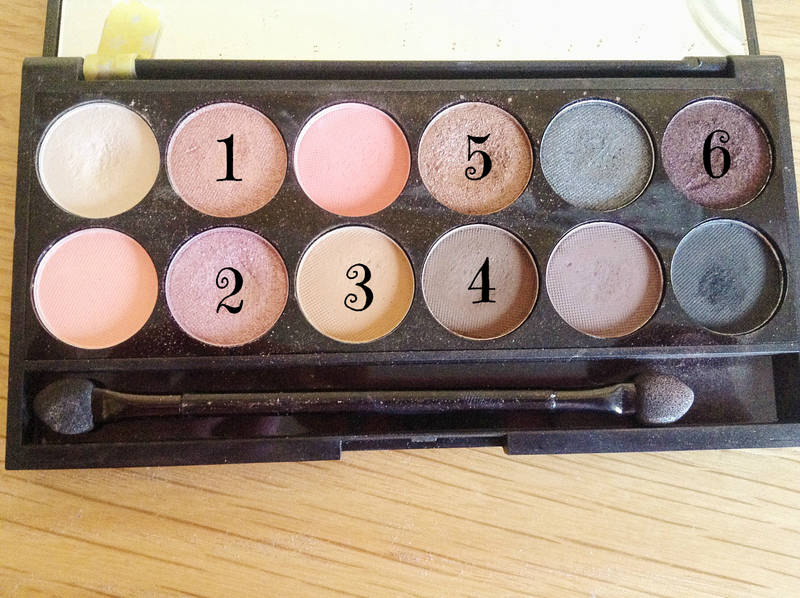 I have had this palette for over a year now and it is only now I have really got into using it. It is supposed to be a dupe for one of the Naked Palettes. 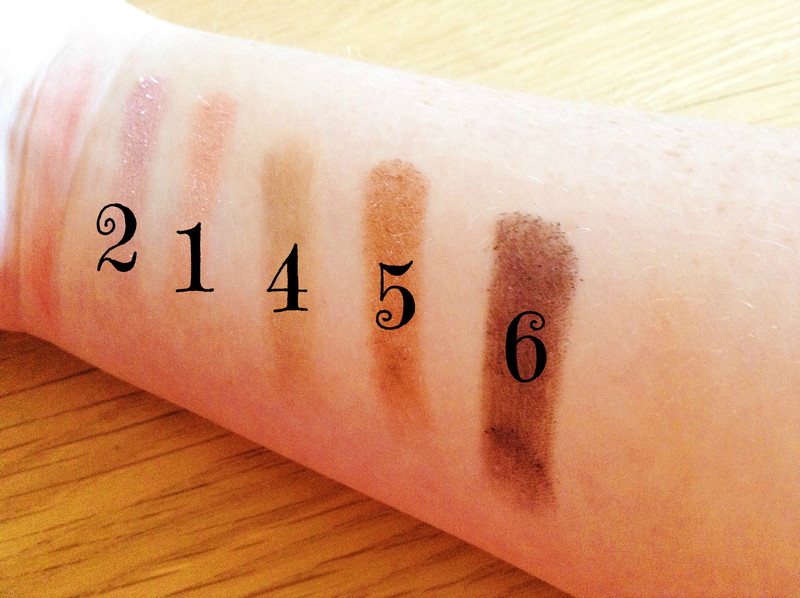 They are really pigmented but I have to put on a base eyeshadow, Maybelline 24hr Color Tattoo in 35 On and On Bronze (Bad to the Bronze), as it wouldn't stay on my oily eyelids without it. I have been using it and dropping it so much that one of the hinges broke and I had to tape it up, I'm not going to throw it out just because it's broken. 6 (Celebrate) shimmery purpley brown. I use 4 and 5 to fill in my eyebrows and I use all of them to do different eye looks. This is such a Spring colour. It's a corally pink that compliments my pale skin. One of the main reasons I like it is that its long lasting, I would only have to do touch ups after I ate anything and normally I would have to touch up every 2 hours with other lipsticks. Also, it smells like chocolate to me. I know it sounds weird. When I was up in Dublin at the midterm, of course I had to go to Lush. I love the face masks as I'm not really a bath sort of person, I was recommended Love Lettuce from one of the employees as I have normal to dry skin. Let me tell you, if you have dry skin you will fall in love with this. It is a moisturising mask and when you wash it off, it works as an exfoliator. This makes my skin so smooth and when you have it on your face you look like the Hulk! I have nearly 5 pots to bring back to Lush, so I'm getting Love Lettuce again. I am normally not a nail polish sort of person but I was given this nail polish (among other things) as a thank you gift from the chemist I was doing work experience. I am normally terrible with nail polish, it's good if it lasts a day but this one lasted 3 days on me. I love the colour it is such an electric blue. For those who don't know what Creme Eggs are, they are limited edition chocolate eggs with sugary goo inside and I love them! So every year when they are released for Easter I always eat my fair share of them. I'm not too sure if it's just a UK and Ireland thing, are there Cadbury Creme Eggs where you live? This is my jam at the moment. I am listening to it at the moment and I find it hard to explain why I like it so much, here comes all the musical terms, I love the piano that is prominent in the song, it has a strong beat but nothing that's near dance music or when 'the bass drops' and it so upbeat. I mentioned this a few times before, I think it was first mentioned in my Summer Roundup. 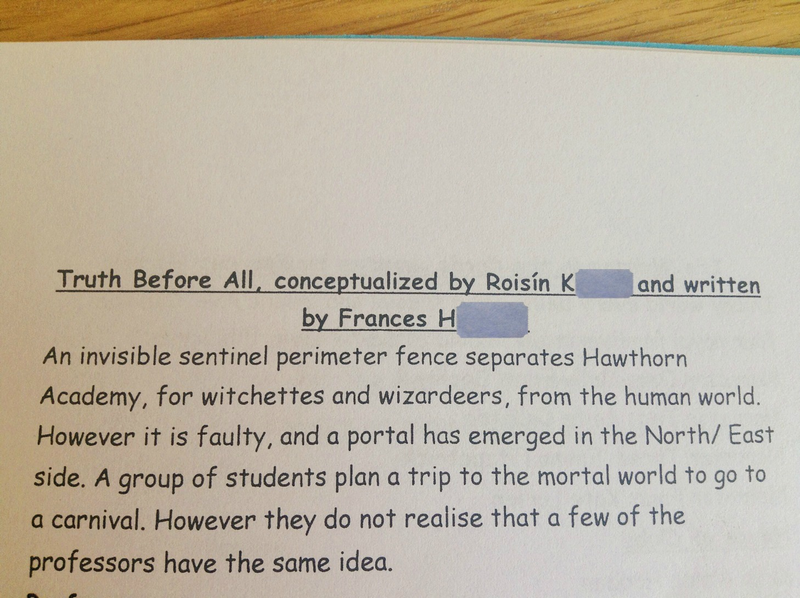 Last year between March and June, I wrote a play. I gave it to my lovely Speech & Drama teacher and she adapted further to work on stage. 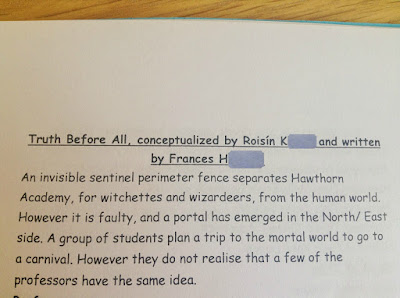 I hadn't got the edited script and for a while I didn't know if it was going to be used but I found out as a lad in my class started asking me about it as his sister was in it. Since I was helping backstage for the show I got to see it. I was proud of my work as there were only little changes. My Speech & Drama teacher liked it as well as it looked like I knew what I was doing. I hope to write another play this year, or maybe two! Thank you for reading and commenting Molly! Thank you Eleanor. It is so much easier when it is not monthly! I LOVED Deadpool too! It's such a great movie, and Ryan Reynolds plays him so well, I didn't know it was possible for me to love him any more, ha! And Creme eggs and Hymm for the weekend? I can't believe I haven't found your favourites posts earlier, all of those things are my faves from the past few months too! That sleek palette looks gorgeous! I haven't watched Deadpool yet, maybe I'll give it a watch! Lovely post Ro! Thank you Frances! You should definitely try out the Sleek Palettes, they are amazing.